Pickens County is located in the northwestern corner of the State, in the shadow of the Blue Ridge Mountain foothills. In the late 1700s the county's namesake, Revolutionary War hero Brig. Gen. Andrew Pickens, negotiated the Hopewell Treaty with the Cherokee Indians. Land surrendered by the Cherokee became the Pickens District. A large portion of the fertile land between the picturesque Keowee and Saluda Rivers eventually became what is now Pickens County. Established law and order in a town complete with courthouse and a Jail (Gaol) would soon follow. Pickensville was originally established near what is now the City of Easley. Most of the larger structures were located near the present day Easley Fire Station One, on South Pendleton Street. Ironically most of the early Pickensville structures were destroyed by fire in 1817. Pickensville was relocated along the banks on the Keowee River (near the present day Highway 183 Bridge, which crosses Keowee River). 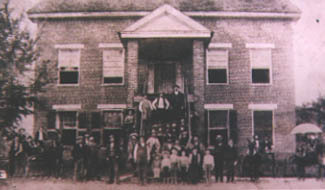 The first Court of Law held in the Pickensville Courthouse was conducted in 1820. Pickens District Elected its first Sheriff (Reed) in 1829. After the Civil War the Pickens District was divided into present day Pickens and Oconee Counties. W.M. Craig was the Sheriff in both Oconee and Pickens District (1860 - 1864). After being founded as a county seat on July 27, 1868, the new town of Pickens was once again relocated. The old Pickens Presbyterian Church and cemetery are all that remain of the Keowee River Pickensville. It is said that most of the structures that existed there were torn down by the owners in order to reuse materials. A large structure, resembling a house, can been seen in aerial photographs made prior to the construction of the Oconee Nuclear Station. This house was once a retail store. In order to move the town near the center of the County, Elihu Griffin, donated land for the construction of a new courthouse and jail (Gaol, as it was spelled back then). 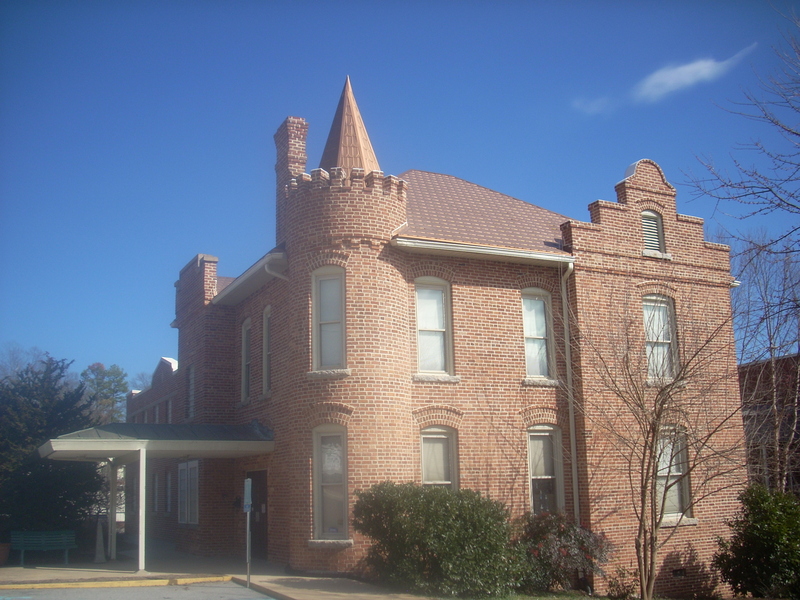 The new Pickens Courthouse complete with a roof dome, which dominated the skyline, was constructed during 1868 and 1869. Photographs of the courthouse appear surreal, as the huge structure seems out of place among sparse pines and indistinguishable dirt streets cluttered with horses and wagons. The Sheriff's Cottage was constructed behind the new Courthouse. Sheriff Mauldin held the Office at the time (1868 - 1872) and again from 1876 through 1884. Sheriff Ferguson held Office between Mauldin's two terms (1872 - 1876). The orientation of streets and structures of the period are still seen in the present day City of Pickens. A new, larger Gaol (Jail) was constructed in 1902 replacing the wooden buildings of the old stockade located on Ann Street. Sheriff James Henry Grace McDaniel (1892-1904) was the first Sheriff to manage the new jail. Sheriff McDaniel and his family resided on the second Floor. In the late 1800s, Easley, the county's largest city, persuaded officials from the Charlotte- to-Atlanta Airline Railroad to lay a track through the town. The railroad helped fuel development of the textile industry and Clemson University opened its door for the first time in 1893. In the early 1960s, the first of three large reservoirs was created when the U.S. Army Core of Engineers completed Lake Hartwell on the Savannah River. In the 1970s Duke Power created Lakes Keowee and Jocassee to power hydroelectric generators. Pickens County is now one of the fastest growing counties in South Carolina with a population of nearly 120,000.